Hello There. I added your Etsy shop item to my blog post – Summer Crochet. Please feel free to share it with others and through your favorite social networks. Use the share bar above or below this article. Do you want your Etsy shop to be featured next? Leave me a comment. Summer crochet has a flair for cool and breezy items. You can only get it here on Etsy. They are dresses, blankets, hats, etc. 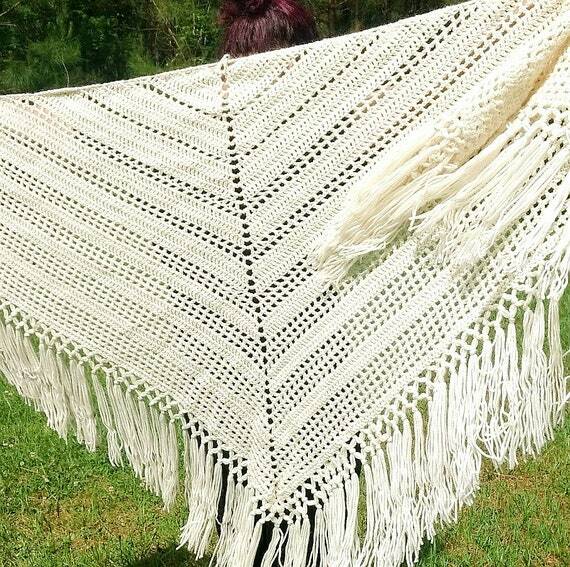 Boho Chic Shawl, Handmade Crochet Wrap, Off White Triangle Shawl, Knotted Lattice Trim, Hippie Chic Wrap, Festival Shawl, Summer Shawl.